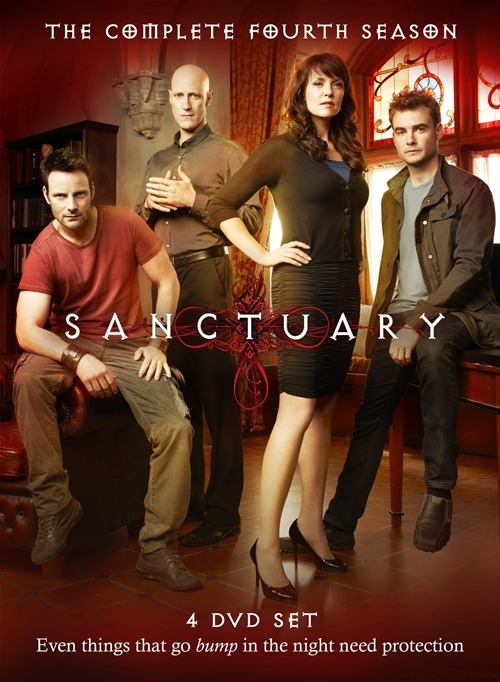 I was rather unconvinced, when I first saw the earlier episodes of Sanctuary, the Canadian TV series starring Amanda Tapping. I think it was the rather clunky (?) CGI sets. And yet, today – as the fourth series is being aired here in Italy – I’m a fan. I actually like it a lot better than, say, Eureka (which bores me to death) or Battlestar Galactica. 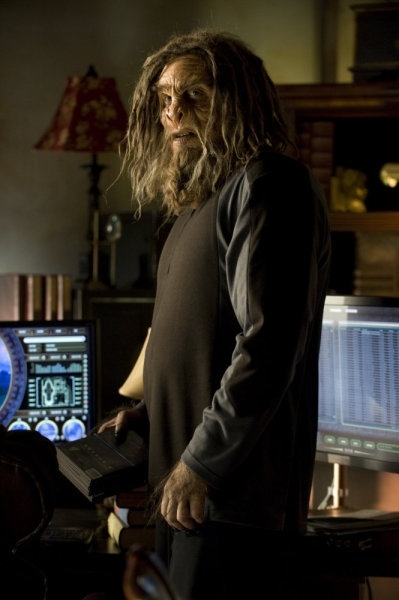 After all, a series featuring a science team investigating cryptozoology to protect the cryptids, featuring a sasquatch as a character, involving much (computer-generated) globetrotting, an ancient race of Twilight-free vampires, a hollow earth setting, references to ancient mysteries and whatnot…? With Jack the Ripper as one of the good guys? And a descendant of Thor Heyerdahl as a member of the cast? Together with that woman from Stargate SG-1? C’mon – it’s obvious that my interest for the series should border on the fetish. Add the slightly steampunkish feel of some episodes and of part of the premises, and I’m sold. Now, I’ve a friend that does not like Sanctuary. He does not like the mixture of real-life and fictional characters – John Watson and Nikola Tesla – he does not like what he calls a “kitchen sink” approach to the setting and the weekly episodes. And this is hawkward because, to me, these are some of the major attractions of the series (together with those mentioned above). I like the “kitchen sink” approach because it is, to me, rather in line with what used to happen in the pulps and the sort of adventure stories I loved as a kid (and I still love). Characters like Sexton Blake or The Spider (to mention two of my faves) would face mobsters this month and rabid carnivorous plants the next. True, Sanctuary has been ripping-off and playing its own version of dozens of classics – from The Thing to Indiana Jones to An American Werewolf in London. And it’s ok – as long as it’s interesting, and the twists keep coming. Ditto for the mix-&-match of characters – I mean, F.D. Roosevelt appeared as a hero’s sidekick in the Spider! And yet, my friend is completely unable to suspend disbelief, and he does not like the series. He perceives a roughness in the plots and situations thatin fact is not there – but to realize the mix is pretty smooth, and coherent, you have to realize this is happening in a pulp-based universe. As you can imagine, we have pretty funny discussions – and while we do not change each other’s opinion, it’s an interesting way, for me, to become aware of those “deep settings” that readers and viewers might be unable to modify, and may spoil the fun, for them, of reading my stuff. It’s all part of the learning process. In the meantime, I’m enjoying Sanctuary. It’s not necessarily the sort of thing I’d like to write*, but sure as hell is on the same wavelenght. * Who am I trying to fool? Of course I’d like to write something like that! Categories: Armchair adventuring | Tags: Amanda, Amanda tapping, cryptozoology for fun, it's ok as long as it's interesting, London, Nikola Tesla, postaweek, pulp, Sanctuary, Sexton Blake, steampunk, Television program, Thor Heyerdahl, Tv series, writing | Permalink. Have you ever read Proof? Is a comic based on pretty much the same premise, with a sasquatch who likes fashion as the main character. Quite interesting – no, I did not know it, but I’ll check it out. After so many good suggestions is a pleasure to return the favor. Well, I would think that a VERY tall hook to suspend one’s disbelief must be an essential premise embedded in this kind of tale – whether it is done tongue-in-cheek or not. I think there is a growing obsession with what passes for realism – to the point that people are starting to ask for realistic fantasies. Not to like a Tv show (or a book) is no longer ok, unless you can add a learned set of reasons for your dislike. The illusion of objectivity layered over the delirium of realism. A lot of people can’t suspend disbelief anymore.